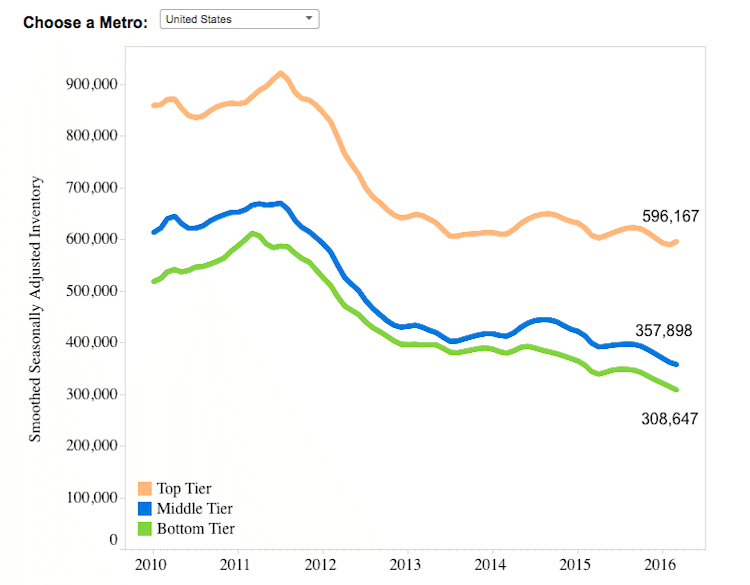 Average San Francisco Home Value Tops Metros Across U.S.
San Francisco’s bottom and middle-tier homes dropped significantly in inventory during the first quarter of 2016, decreasing 17.7 percent and 6.7 percent, respectively. The Bay Area’s top-tier sector hardly offset the drops, increasing a slight 1.7 percent. 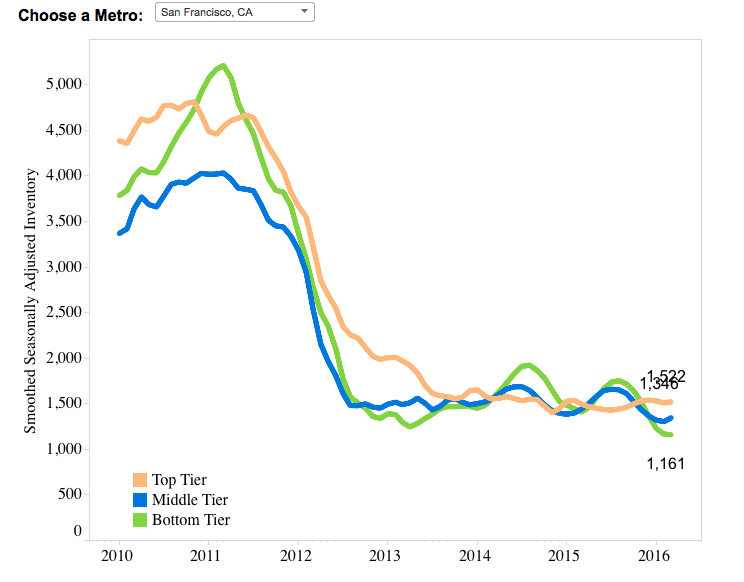 Despite lulls in inventory in the first quarter, San Francisco saw bumps in all tiers of home values, with bottom, middle and top-tier home values increasing by 11 percent, 11.5 percent and 12.1 percent. With a ZHVI of $806,600, San Francisco easily tops any metro in average home value, according to the report. 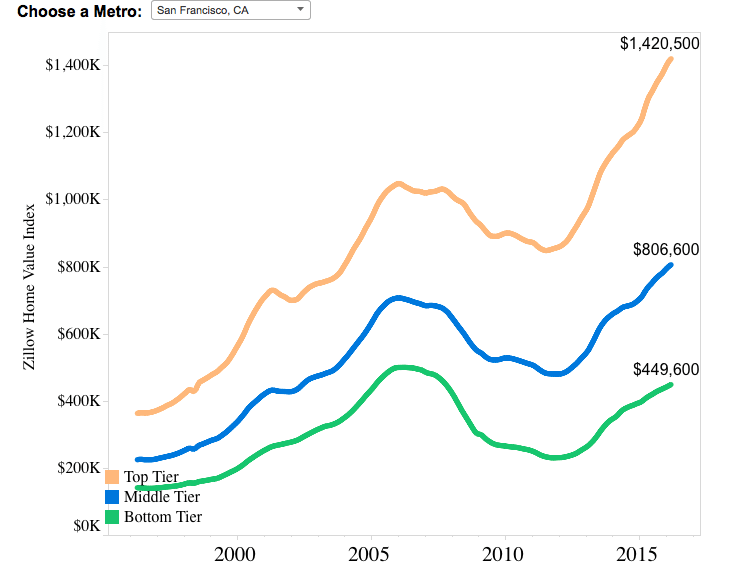 Are San Francisco millennials really able to afford homeownership?